As I opened my inbox today….. Tributes to Dr Jonathan Fine in PHR newsletter, made me just Jump and Scream. And there was a flashback of almost 7 years . Let them call me rebel and welcome. This was his signature on the his mails ……. Dr. Jonathan Fine died at age 88 on January 17 in his house in Cambridge, Massachusetts. 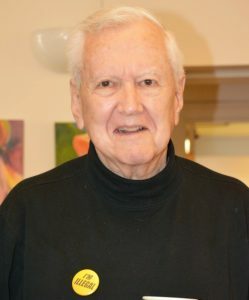 Jonathan Fine had been one of the founders of Physicians for Human Rights in Boston in 1986, and was a very outspoken Director. He was convinced that medical testimonies of human rights violations were important and pivotal in establishing human rights violations, in bringing the perpretators to court and in rehabilitating the victims.Fact-finding missions, facilitating forensic investigations of mass murders, and torture cases made Physicians for Human Rights a key player in the international community of human rights organizations. Out of respect for others, please arrive on time. Thanks! Jonathan clearly had a burning conviction for the rights of the poorest especially their right to health and someone who would inspire many of us with his energy, passion and ability to bring structure and purpose to our endeavors to help the most marginalized. He told me that he was inspitred to viist India after listening to Yogesh Jain of Jan Swasthya Sahyog of Chhattisgarh speak in Boston , he then decided to visit remote Chhattisgarh at the young age of 80+! He knew he had to do something and do something he would!He also took it upon himself to spread the word and seek health professionals looking for short or medium term internships at JSS. He was in Bilaspur for a month from Jan -Feb 2010 80 + Jonathan managed with no western toilet, had no qualms sitting with tribals on floor and eating. No airs at all from a man, who was also one of the founders of IFHHRO in the late 1980s. Together with the then Chair of the Dutch Johannes Wier Foundation for health and human rights, Dr. Adriaan van Es, Jonathan Fine decided that health-related human rights advocacy should have an international forum. The work of JSS in a remote region of India. JSS serves the rural poor from 1,500 villages. This is the most remarkable health service that I have ever witnessed. Everything that JSS has accomplished is doable by others. Direct superb services are provided, but equally, research and advocacy for the systemic changes required, to bring these benefits to all the rural poor of India who number over 500 million. I will be reporting in greater detail later. Here are a few photos! These seven from Jan 19th when I visited the most remote of the forest clinics (sub-centers). Although some patients came from close-by villages, others walked for several hours to get to the clinic, often with serious injuries, in pain, or weakened by severe anemia (prevalent), tuberculosis or malaria. Photo #1 Lunch with the village dais – village midwives – attending a two-day training. We are eating a nutritious vegetarian meal off leaves gathered in the forest. A treat for them, this is probably the only well-rounded meal these women will have until they return in a month’s time. Photo #2 – Dr. Yogesh Jain with mother and little boy. The child suffered an infection of his finger resulting in a contracture. He will soon go with his mother to the JSS main campus that has two operating pavilions to correct the defect. If the family cannot afford even a small fee, the surgery and all attendant costs are waived. Photo #3 – Dr. Ramani with a pregnant village woman patient discovered to be hypertensive. All patients have their BP measures each visit. Hard to believe, many women patients in this remote area suffer from severe hypertension. No one is yet sure why but they all receive the same effective medicines we do at home only at a tiny fraction of the price we pay. Pregnant patients are treated aggressively for even mild elevations of blood pressure. Drs. Yogesh and Ramani visit this remote forest sub-center every Tuesday. It’s a long day. This particular day, Dr. Ramani stayed overnight for the two-day, monthly in-service training of the dais. As it’s very cold at night in the forest, she told me that the blankets available were not sufficient. None of these village people have woolen clothes. They only survive this time of year by building fires inside their homes for the night – suffering the consequences of smoke inhalation. Photo #4 – Photo of dais raising hands when asked if they’d like to learn to ride bicycles. Every hand went up. There were 45 present, usually 100% attendance. Many walked two to three hours to get to the sub-center that morning with the same trek the following day to get back home. I am going to try and raise funds to get them bicycles! They are all volunteers. Each delivers one or two children each month. Photo # 5 – A five year old with acute glomerulonephritis. She will probably be spared permanent kidney damage after a course of antibiotics and a diuretic. Dr. Jain, one of the founders of JSS, is finishing his tenth year of this work. 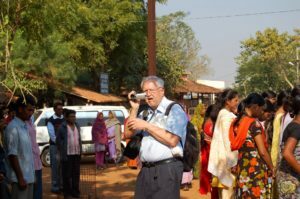 He and his colleagues are all superbly trained clinicians and public health specialists and staff three sub-centers in remote regions of central Chhattisgarh. I am spending three weeks with them now, taking on collaborative projects with them and intend to return in July for a few months of active work under their direction. We want to document the life-stories of these village people and bring to the world’s attention how neglected they have been. Millions like them in India have no such good fortune as what the JSS physicians and staff of 140 provide. This work is not a drop-in-the bucket. Jain and colleagues have developed low-cost technologies – like a solar refrigerator at this outpost that keeps vaccines at constant temperature even in the brutally hot months – provide low cost treatments, doing research that hopefully will spread throughout India and beyond to help others. When I get home, I also plan to help them recruit all kinds of volunteer health workers to come for three months or more as volunteers. They are short-staffed in every category – administration, diagnostic laboratory specialists, pharmacists, trainers, nurses, physicians and surgeons. Photo #6 Dr. Yogesh Jain with two patients. Six weeks ago, the older lady, a dais, was gored by a bison while chasing a monkey away and suffered a broken wrist, severe internal injuries and a broken wrist. She was gored right up to the splenic capsule. A young American, a fellow activist with the Assocation for India’s Development, had donated $5,000 for a small bus two years ago that doubles as an ambulance. If it were not for this remote clinic, the bus, and a marvelous surgeon at JSS in the village of Ganiyari, this woman probably would not have made it. Look at her six weeks later! Photo #7 Several of the dais, who gathered firewood, trying to get warm in the early evening after a long day of training. They will be sleeping in the cold this night, finish the training tomorrow and then take the long walk back to their villages. I sent this e-mail out last evening about midnight here in Chhattisgarh. There are a few errors to be corrected. !. The Title “Photos” was meant to read “Deeper and Deeper”. Why? Because the report is from the furthest clinical and public health outpost of JSS into the forests of the Bilaspur District and the miracle called JSS goes deep not only into remote regions but to sound the depths for the root causes of illness and its profound consequences. 2. The photos of this single day are from the JSS sub-center in the midst of a Wild Life Preserve. Ironically, the villagers you see here are planned to be evicted soon by the powers that be in New Delhi. That fight is just getting underway. 3. The village midwife described in Photo #6 who was gored by a bison suffered, as reported, a deep abdominal wound, but also a hemarthrosis of the knee, a wrist fracture and several broken ribs. All of my informal reports will need subsequent edits and, presumably corrections, where I have “rushed to print”. Hopefully, the general gist will be dead on. 4. I am for the first time now forwarding a “field report” e-mail to the AID Health Cell and to AID Boston’s lists. I will follow up with other earlier emails and a few subsequent ones as well. Feedback is always welcome, friendly or critical. I am this week concluding a one month’s visit to Jan Swasthya Sahyog / JSS (The People’s Health Support Group) in Chhattisgarh, a state in Central India. Founded ten years ago, Jan Swasthya Sahyog/JSS (People’s Health Support Group) is one of India’s and the world’s most spectacularly successful experiments in the delivery of health care to impoverished rural communities. JSS provides comprehensive primary care services to 53 remote, extremely deprived, forest communities but also receives poor patients from a total of 1,500 villages in central Chhattisgarh at its hospital and outpatient facilities in the village of Ganiyari, Bilaspur District. JSS is a leader in low-cost technologies it has designed for rural diagnostic, preventive and curative health services. The group is equally renowned for its publications and advocacy for fundamental reforms needed to bring access and equity in health care to all of rural India. Many of the founder members were trained at the All India Institute of Medical Sciences in Delhi or at the Christian Medical College, Vellore. With an ever-increasing patient load, and the provision of all levels of clinical services, public health, and even sponsorship of agricultural development, its medical staff is severely overtaxed and short-staffed in clinical, research, public health initiatives and supporting specialty roles. The hope is that volunteers may be found to come to Ganiyari for periods ranging from three months to two years. Each will make an enormous difference in the lives of severely impoverished villagers and have the experience of a lifetime working with world-class physician and non-physician professionals and allied staff. Recently, I interviewed Yogesh Jain, one of the founding physicians of JSS, on the volunteer professional staff that SS urgently needs to recruit. That interview is immediately below. If you or any friends may be interested, you may write to me personally if you wish or to Dr. Jain and his colleagues at JSS directly at the e-mail address that follows. Please also consider forwarding this message to others. Thanks! – Jonathan E. Fine, M.D., M.P.H. 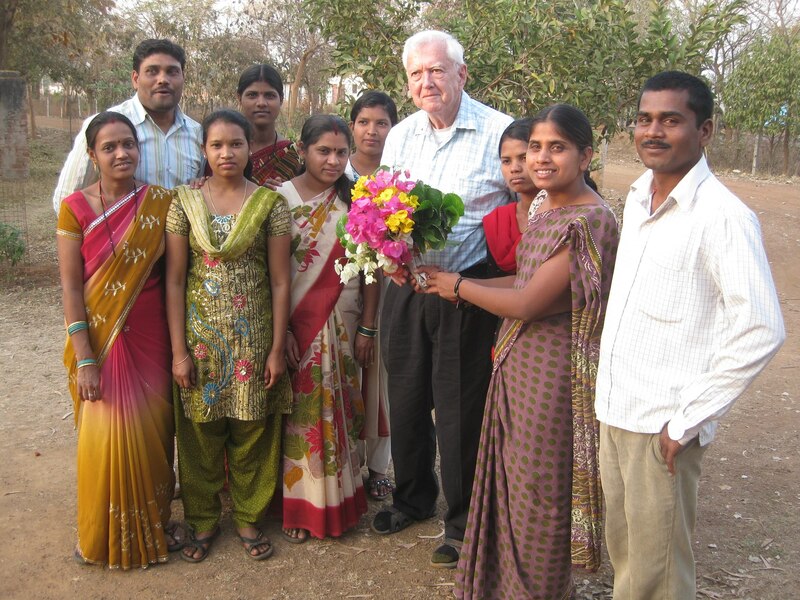 During his visit to give impetus to free binayak sen campaign, Jonathan fine suggested we start a chapter of physicians for human rights in India. dignity and justice, and to promote the right to health for all. Jonathan Fine also played a crucial role , in Free soni sori campaign after medical reports were recieved from Kolkata, he personally campaigned with Physician for human rights and amensty intrenational to declare soni sori as prisoner of conscience. Physician for Human Rights- India , has been defunct, I hope we all can revive it as a real tribute to Dr Jonathan Fine . For me he was human rights activist first and health professional later, his passion for human rights violations always vociferous and still his loud voice reverberates .